What are the grounds for a New York divorce? Are there any options open to me if I don't have grounds for a divorce? How is marital property divided under New York's equitable distribution law? How is equitable distribution different than community property? So what happens to marital property if I can't get a divorce? How is spousal support in New York determined? What happens when one parent wants to move away from New York with a child? 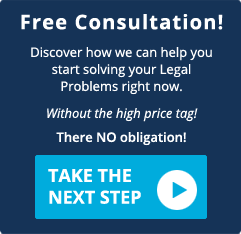 What happens if I don't have enough money to pay for a lawyer? In order to file a divorce in New York, either spouse must live in New York for one year if (a) the marriage took place in New York, (b) the parties lived as husband and wife in New York, (c) the grounds for the divorce occurred in New York (d) the grounds occurred in New York and both parties lived in New York when the divorce is filed. A divorce may also be filed if either spouse lives in New York for at least to years. New York has six grounds for divorce. They are (1) Cruel and inhuman treatment, (2) Abandonment for one year or more, (3) Adultery, (4) Imprisonment for three years or more, (5) Living apart pursuant to a judicial separation for one year or more, (6) Living apart pursuant to a written separation for one year or more. There are several options. Lack of support constitutes grounds for a separation action. 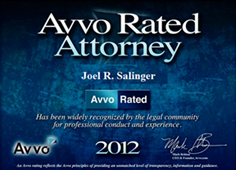 In addition, a spouse may file a proceeding for support against his or her spouse. Yes. The court can authorize service of the divorce action by substituted service if it is shown that the location of your spouse cannot be determined. Substituted service can include service on member of your spouse's family or service by publication in a newspaper. Marital property is any asset acquired by either spouse during the marriage. However, there are a few exceptions. Gifts to one spouse, an inheritance, personal injury awards for pain and suffering, and property acquired by separate property. In New York, marital property in is divided under the theory of equitable distribution. Under equitable distribution, the court may only divide marital property when the marriage is dissolved. Each spouse receives an equitable, or "fair" share of the marital property based on the overall facts of the case, based on the thirteen factors of Domestic Relations Law (DRL) 236B(5). Under community property, both spouses have a vested right in the marital property at any time, independent of a divorce. Under equitable distribution, a non titled spouse may assert his or her claim to marital property only when the status of the marriage is changed. The court has no authority to distribute marital property if a divorce or annulment is not granted. If the parents cannot reach an agreement on relocation, the court will permit or deny a request to relocate based on the best interests of the child. When there is a large disparity between the spouse's income and assets, the court may grant an award of counsel fees. The court may allow one spouse to buy the other spouse out, it may order the home to be sold to a third party, or it may grant exclusive occupancy of the marital residence to one spouse.